Why buy Vitamin K2 as Natural MK-7? Vitamin K refers to a group of fat-soluble vitamins, used by the body in a number of processes, including blood coagulation and bone formation. Vitamin K comes in several forms - the main ones being K1 or K2. Vitamin K1, also known as phylloquinone, is found in leafy green vegetables. Vitamin K1 is converted into Menaquinones, or Vitamin K2, by bacteria in the gut. The most common of these Menaquinones are MK-4 and MK-7. Just Vitamins Vitamin K provides 100µg of Vitamin K as MK-7. Why buy Vitamin K Capsules? Vitamin K contributes to normal blood clotting and to the maintenance of normal bones. Naturally sourced Menaquinone 7 (MK-7) is the most bio-available form of Vitamin K2. 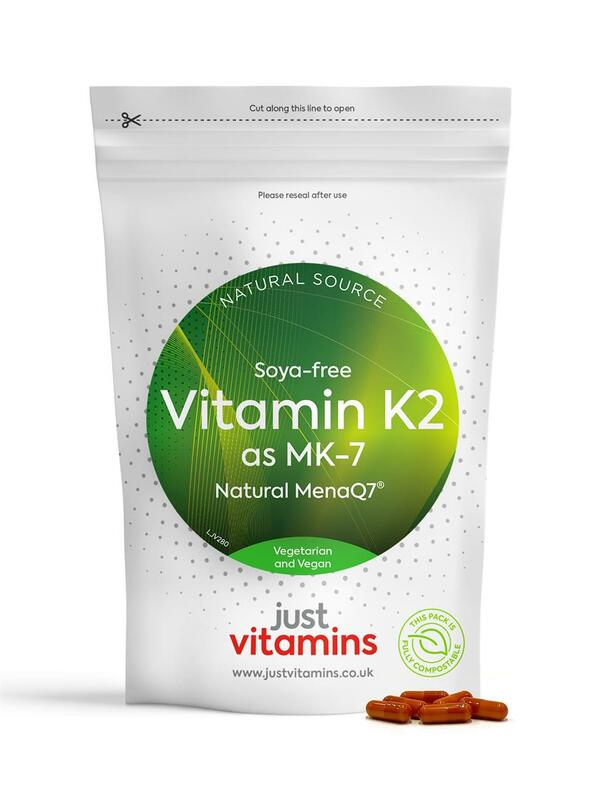 This natural form of Vitamin K2 is guaranteed to be free from soya and other allergens. Vitamin K2 in its natural form is heat and light sensitive, so we have taken a two-step approach to further ensure that the Natural Vitamin K2 in this supplement is protected and retained right through the shelf-life of the product. Firstly we have formulated this supplement into a hard-capsule rather than a tablet, as the action of pressing a tablet will generate heat that could instantly damage the heat-sensitive Vitamin K materials. 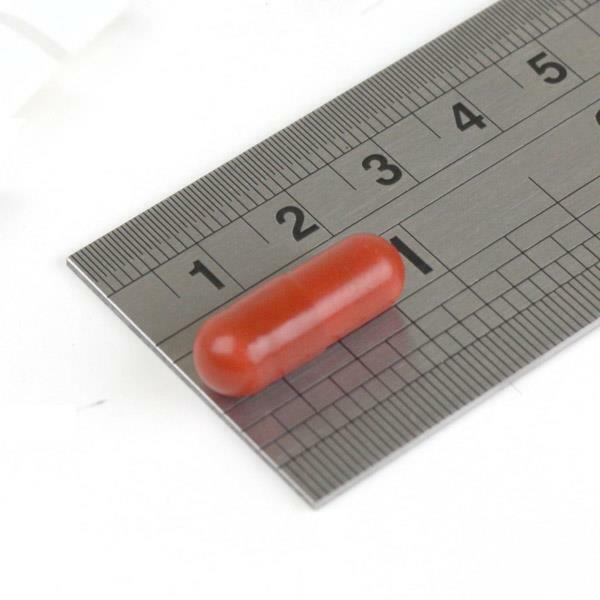 Secondly, we have selected a unique red capsule-shell (vegetarian and naturally-coloured of course!) that will help shield the contents from light - which could degrade the Natural Vitamin K2 material within. Maltodextrin, Microcrystalline Cellulose, Hydroxypropylmethyl Cellulose, Red Iron Oxide, Titanium Dioxide, Vitamin K2 natural crystals, (Mena Q7® 0.2%, with Cellulose) Magnesium Stearate, Silicon Dioxide. Adults: Swallow one capsule per day with food.